As we get closer to the November 10 release date for Fallout 4 there is a sense of anticipation as to what the post apocalyptic world will be like. Bethesda only announced the game at this years E3, however the hype for the game seems to be unlike another. This has been fuelled by the drip feeding of awesome and very slick videos they have been releasing – you can find these here – as well as their recent live action trailer, which I have attached below. 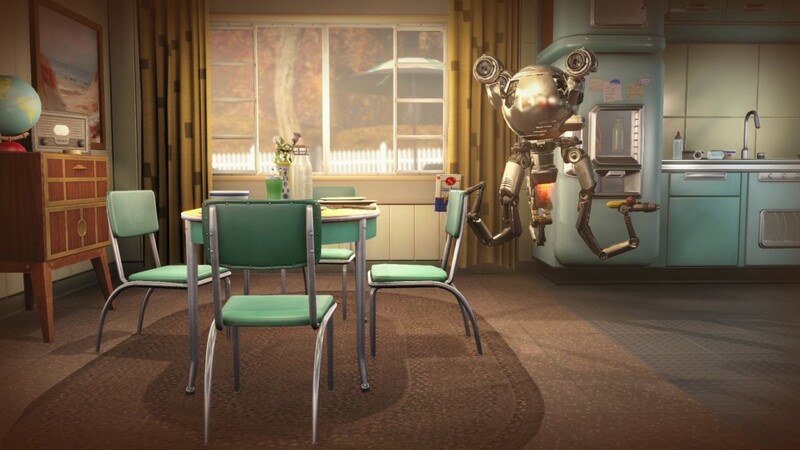 Fallout 4 will feature some very in-depth character creation, as well as tools that allow players to create environments such as bases to their own specifications. In my opinion this is probably one of the coolest things out there! As Todd Howard mentions, the main goal of the game is to give the player complete freedom into what they do, where they do it and how they do it. At E3 Bethesda released an extended gameplay trailer which showed us a glimpse into the available weapons, the world as well as some of the new improvements over Fallout 3 and New Vegas. One of the points that Todd Howard brought up was the improvement of the gun play in the game. The game sees you start in pre-apocolpse and create your character, basically to get a glimpse into how their life was before the nuclear bombing. When you first enter the massive ruins of downtown Boston, where the game is now set, you will experience something different to most other Fallout games – a wide array of colours and almost beautiful setting. Now I could sit here and just repeat what was said in the E3 presentation, but I don’t think I can do it any more justice. I’ve attached the video below as well as some more images. Oh damn, we are so excited. Also here are some more images.